SourceCloud started over 12 years ago writing advanced applications for a variety of clients. In January 2010 we started using Amazon Web Services to enable us to implement a scalable texting solution for schools, which is now used widely across the education sector. 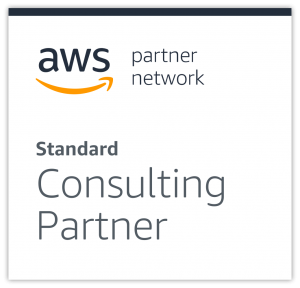 As AWS Partners, SourceCloud’s expertise comes in to its own with the growth in Cloud computing. Although still seen as new technology in many sectors, at SourceCloud we have been implementing production systems in the cloud for over 8 years in a wide variety of industries. We work with clients from aerospace to professional services, to not for profit, to the motor industry and agriculture. Our in depth knowledge of the “infrastructure as a service” model gives our customers very low start-up costs, and the total flexibility to adapt and change, as their businesses expand and develop. We understand that most businesses from start-ups through to corporates have peaks and troughs in their load, whether this be seasonal or daily peaks, and that efficient processes to manage this variation are vital. SourceCloud offer bespoke solutions to each of our clients to ensure services, which scale and contract on demand, thereby only paying for computing you actually need, when you need it. We have also developed our own leading edge, cost saving tool to further enhance your savings in the cloud – CostGuardian give you real-time feedback on running costs and lets you manage your servers easily whilst maximising your savings. Clients have saved 30% of their hosting bill in the first month alone. SourceCloud have extensive experience in developing new scalable solutions as well as migrating on premise solutions to the cloud. We are passionate about designing and implementing the right systems for our clients. Please get in touch and we will be delighted to discuss your requirements with you.